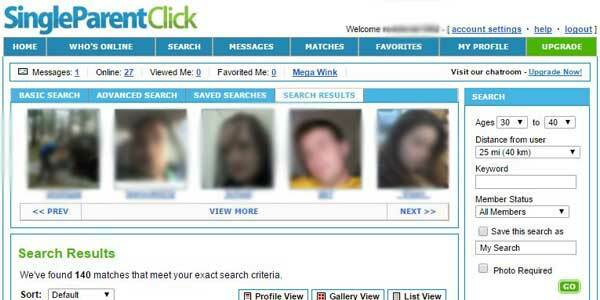 The purpose of the SingleParentClick dating site is fairly self-explanatory. If you are a single parent looking for love, this is the site for you. Like other niche dating platforms such as SeniorPeopleMeet.com, this is a very targeted audience.As a result, you should be able to find exactly the type of partner, date or network that you are looking for.All of which is great news for gay single parents, who can rely on a healthy number of users at Single Parent Click searching for exactly the same thing. The site includes plenty of opportunity to describe exactly the match you require and there are some great tools to help you interact once you have honed in on a suitable user. It’s simple to use, features some useful resources and is great value for money. For a start, you will find a page full of safety tips at singleparentmeet.com, covering both online and offline dating. It is well worth reviewing. The site administrators screen the profiles, which hopefully weeds our scammers. Similarly, the captcha code on sign up has a similar effect. The sign up process at SingleParentMeet isn’t quite as quick as you might find at Match.com for example. However, it strikes an excellent balance between detailed questioning and speed, ensuring that once you have signed up, you are in an excellent position to find the type of matches you want. Crucially, the very first question you will be asked when you sign up is your gender and what gender you are looking for. This means that when two gay single parents click, there is a good chance that they will find each other, the rest of the process merely an exercise in further pinpointing what you are looking for. Having entered your age and location, you will be asked for a username, password and e-mail address. A number of personal details follow, including eye color, body type and ethnicity, attitudes to smoking and drinking and whether you want more children. Lastly, you will be asked to describe your date’s personal characteristics and then you are ready to search! There really is nothing at all complicated about using SingleParentClick. As a result, even if you are a technophobe single parent, you will be able to enjoy using the site with ease. The tabs at the top of the dashboard mean that you are just a click away from practically everything you could need, including your messages, conducting a search and of course your profile. Conveniently, there is also a side bar which gives you an ‘at a glance’ view of your status. It displays how many new members have joined and how many users have viewed your profile. The dashboard also gives you direct access to a number of suggested matches. There are two types of search at SingleParentClick.com. The basic search allows you to find someone via age, location and most importantly gender. It means that even at the most basic level, you can search for other gay single parents. Meanwhile, the advanced search is a great chance to refine things even further. Search fields include body type, ethnicity, education, income and even zodiac sign! Once you’ve found a search formula that works, you can save it. However, if you want a different route to finding someone, you can also review any profile and send an “I’m interested” note if appropriate. 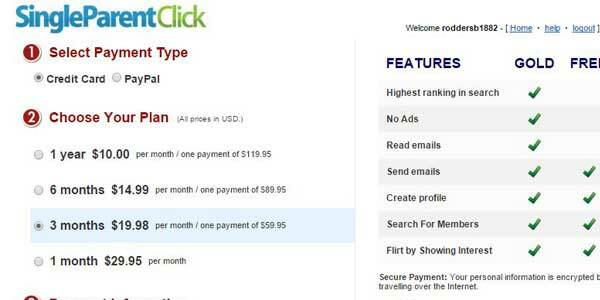 Free members at SingleParentClick.com can create their own profile, search for other members and respond to e-mails. However, the only way to initiate contact, is by sending a ‘flirt.’ As a result, becoming a paid member makes sense if you are serious about finding someone. 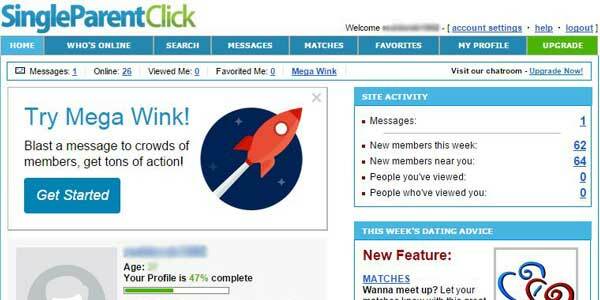 Among the benefits, you can participate in chat and your profile appears higher up in searches. A single month costs $29.95, 3-months will set you back $19.98 per month, a 6-month deal $14.99 monthly and a 1-year package costs just $10 per month. Gay single parents are a pretty niche market. However, the only possible conclusion of a SingleParentClick gay review is that this platform is the answer. It is an effective solution whether you are a gay single parent looking for some company, a life partner or anything in between. From the very outset, the site is designed to match you with like-minded individuals and there is plenty of scope for describing your personality, hopes and desires. SingleParentClick.com has been around since 2009. Since then, it has built a great reputation and this applies to gay single parents as much as anyone else. Whatever other great gay dating advice you receive, all the tools are here to help you find the type of match you are looking for - The site is engaging, effective and well worth checking out.